Golden Slumbers and Carry That Weight were written by Paul McCartney. Both songs are credited to Lennon-McCartney and were recorded by The Beatles in 1969. Scottish band Trash recorded the songs as a medley the same year. Their version was produced by Tony Meehan and was released as a single. The single was released on the Apple Records label in 1969. The B-side was Trash Can. Trash had previously used the name White Trash and had released their debut single, Road To Nowhere, on Apple Records. Golden Slumbers/Carry That Weight reached number thirty-five on the UK Singles chart. The End was written by Paul McCartney but is credited to Lennon-McCartney. It was first recorded by The Beatles in 1969. 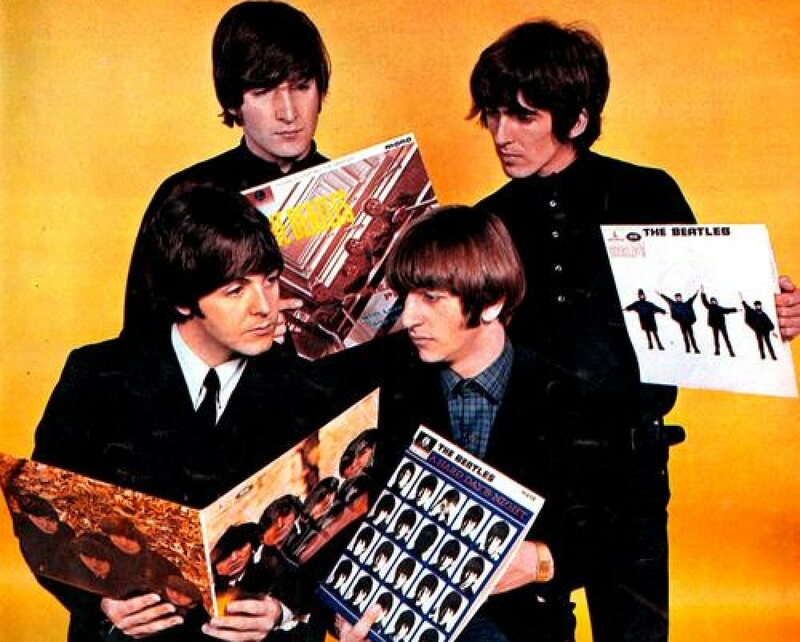 It was recorded at EMI Studios and was produced by George Martin. It was released on The Beatles’ 1969 album Abbey Road. A remix was released on The Beatles’ 1996 album Anthology 3. A snippet of the song was used in The Beatles’ Seventh Christmas Record from 1969. The song was part of Paul McCartney’s repertoire. He performed the song as part of a medley along with Golden Slumbers and Carry That Weight. A live version was released on Tripping The Live Fantastic in 1990. Paul McCartney has also performed the song as a medley along with Sgt. Pepper’s Lonely Hearts Club Band (Reprise). Live versions of that medley have been released on Back In The U.S. (2002), Back In The World (2003), and Good Evening New York City (2009). This song was written by Paul McCartney but is credited to Lennon-McCartney. Part of the song uses the tune to The Beatles 1969 song You Never Give Me Your Money. It was first recorded by The Beatles in 1969. It was produced by George Martin and was released on The Beatles’ 1969 album Abbey Road. The song is part of Paul McCartney’s repertoire. He has played it as part of a medley with Golden Slumbers and The End. A live version was released on the 1990 album Tripping The Live Fantastic. Paul McCartney has also performed the song as part of a medley along with You Never Give Me Your Money. Live versions of that medley have been released on Back In The U.S. (2002) and Back In The World (2003). This song was written by Paul McCartney but is credited to Lennon-McCartney. It was first recorded by The Beatles in 1969. It was recorded at Olympic Sound Studios and EMI Studios. It was produced by George Martin. It was first released on The Beatles’ 1969 album Abbey Road. The tune of You Never Give Me Your Money was used in The Beatles’ 1969 song Carry That Weight. You Never Give Me Your Money was part of Paul McCartney’s repertoire. Live versions recorded as part of a medley with Carry That Weight were released on Back In The U.S. (2002) and Back In The World (2003). Both versions are credited as Carry That Weight.